OASIS and invited artists will exhibit animal-themed arts and crafts in a variety of media. The First Friday reception, from 5-8, will include light refreshments, and is FREE. There will be live music, an animal costume contest, a photo booth, face painting and lots more FUN. The exhibit continues through 31 January 2017. January 14 and 28 at OASIS: FREE children’s art activities, from 10:30 to 12:00. Activities will be on a first-come-first serve basis for children 5 years of age and older. Media will be varied, and may include painting, paper crafts and other fun projects. Preregistration by the prior Thursday (January 12 and 26, respectively) is required by emailingaskoasisart@gmail.com. OASIS is a co-op gallery, which receives on-going sponsorship from WMRA/WEMC. At OASIS, over 35 local artists and artisans exhibit and sell their work. 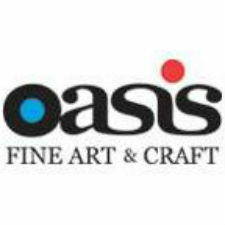 OASIS Fine Art & Craft is located at 103 S. Main Street, Harrisonburg. For more information, call 540-442-8188, and email askOASISart@gmail.com, website of www.oasisartgallery.org, and at Facebook as OASIS-Art-Gallery-Harrisonburg-VA.